To purchase the Dragon 1/35 scale King Tiger Tank scale model manual on printed paper click this PAYPAL button. 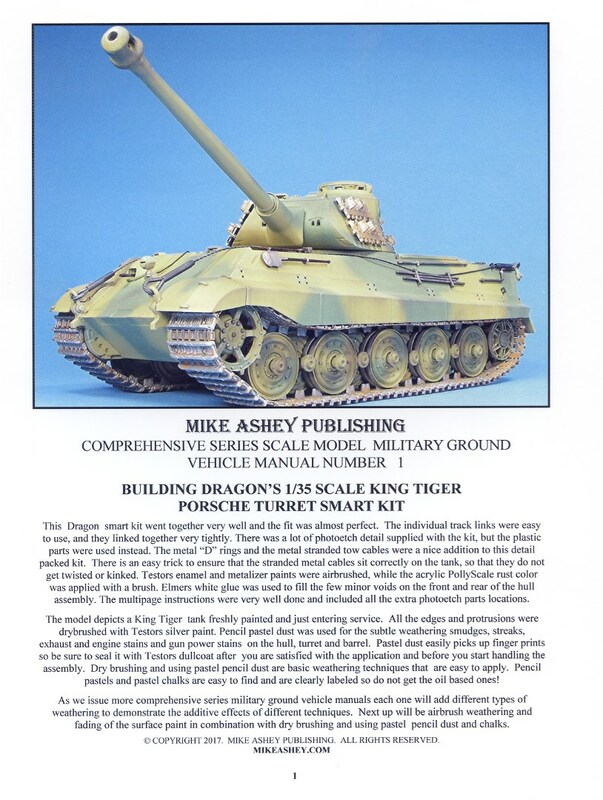 To purchase the Dragon 1/35 scale King Tiger Tank scale model manual PDF click this PAYPAL button. This comprehensive series manual shows you how to assemble and paint this superb representation of a German World War II King Tiger Tank. The manual shows you how to work with the real metal stranded cables provide in the kit and how to use Elmers white glue to fill the few gaps that are on the tanks hull. Techniques for assembling and fitting the individual track links are also shown in step by step color photos. Mild weathering is also added during the construction sequences using various shades of paint colors and pencil pastel dust.